KeyGene is pleased to announce that BerryWorld Plus has won the genome-for-free contest, organised on the occasion of the Genome Insights meetup on 21 March 2019 in Wageningen. The raspberry breeders at BerryWorld Plus will receive a high-quality genome assembly of a genotype of their choice. BerryWorld Plus was selected because they are a leader in considering state-of-the-art technology to accelerate the development of premium, healthy raspberries. With this high-quality genomic resource, raspberry breeding can now fully benefit from KeyGene’s ample experience and state of the art technologies. The BerryWorld Plus breeding programme was established in 2001 and continuously aims to deliver an improved eating experience for consumers, as well as increased returns for growers. The company is a joint venture between the experienced soft fruit grower, breeder and propagator Edward Vinson Limited, leading soft fruit grower Hall Hunter Partnership and global soft fruit marketing company BerryWorld®. Today, the BerryWorld Plus breeding programme is successfully acting on the breeding, development and support of its exceptional soft fruit varieties with breeding sites in both the UK and Spain. BerryWorld Plus develops and distributes the best raspberry varieties to global markets. Its release of Sapphire raspberries in 2013 has gained recognition with multiple awards across the UK and Europe. 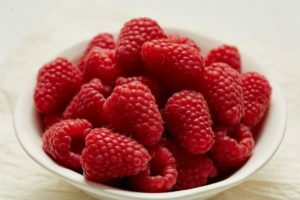 To continuously improve raspberries for consumers and growers, breeders exploit the extraordinary potential that nature has to offer by crossing promising plants and selecting in their progenies plants presenting the best trait combinations. Dr Guillaume Daverdin, raspberry molecular breeder, is very enthusiastic: “Genetic and genomic comprehension of traits important to major crops like corn or wheat has been key in accelerating the breeding cycle and developing superior cultivars. Unlike these crops, the raspberry potential is largely untapped and tremendous improvements are within reach. 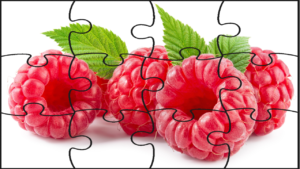 The high-quality genome assembly provided by KeyGene will be the cornerstone on which the molecular program will flourish, allowing the development of decisive tools and a better understanding of key raspberry plant traits including yield and the berries nutritional components. With that, we want to contribute to sustainable production and a healthy diet”. BerryWorld Plus will benefit from genome insights in the development of new varieties. For raspberry breeders, considering DNA characteristics will now become a valuable complementary tool to the traditional breeding selection. Dr Guillaume Daverdin: “Traditional plant breeding is a game of numbers, by using molecular tools and genomic insight we will be able to significantly increase the number of plants screened each year and enhance the chance of identifying plants that present the ideal combination of traits we are looking for. Molecular screens will be especially important in quickly deselecting hundreds to thousands of the least promising plants before being screened by our breeding team”.